Are you ready to supercharge your business? The ChampionsWay development team has been hard at work to bring you features to help attract new students, connect your community and keep your school running efficiently. The count on a punch pass membership decreases automatically when members scan in or when you check them in. You can also manually adjust the number of passes by clicking the plus and minus buttons on the membership tile at the top of the member’s profile. Each adjustment triggers a GL posting. If you need to delete a number of events quickly, it may be more convenient to simply click the (x) icon at the top right corner of calendar events. However, to avoid accidentally deleting events, you can now disable it. You can control the minimum and maximum ages of attendees more precisely by specifying both years and months. This is especially useful when setting up services and events for young attendees. The same function in your Manage Age Groups settings makes it easier for Book Me to filter prospective attendees when they enroll online. Use a search bar to find a person in the shopping cart, attendance list, facility contract, or check-in and the system displays more than just their name. Depending on whether you’re an enterprise or small business client, the results will also show their account names, ID numbers, phone numbers, email addresses, and types. You can sort the results before selecting the one you’re looking for. As an administrator you can hide system documents in the recycle bin and restore them again. As for non-system documents, you can hide, restore, and delete them. 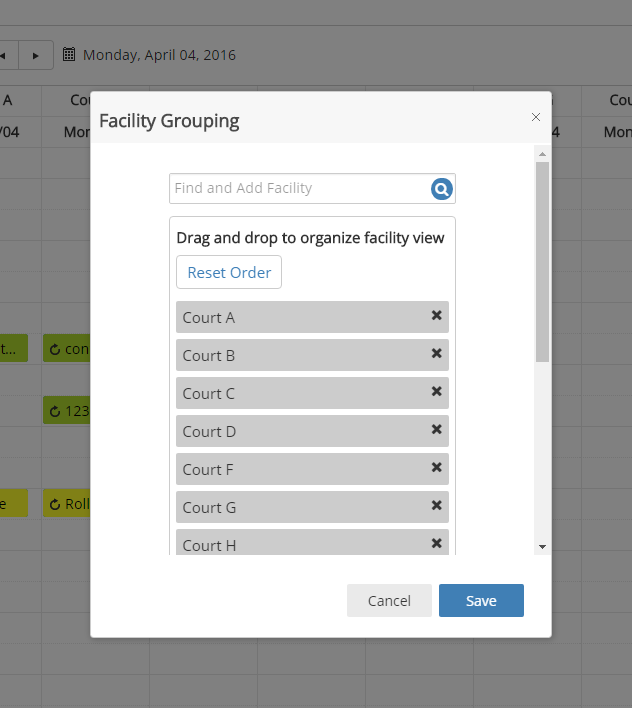 When your calendar settings include displaying events grouped by Facility or by Staff, you can choose which facilities or which instructors are displayed. You can change the order, delete or add individuals, or reset the display. The system remembers the choices you make for the next time you log in. Each user customizes their own display. Add a previously withdrawn attendee back to an event just like adding a new attendee. The waiting list rules apply. You can reward a customer by adding credit to their account, or add a charge against damage. Whatever the reason, use the Account Adjustment feature to immediately add either a credit or a charge to the customer’s account without issuing a refund or selling an item. Select a GL account for each adjustment and view the records in the GL Adjustment report.